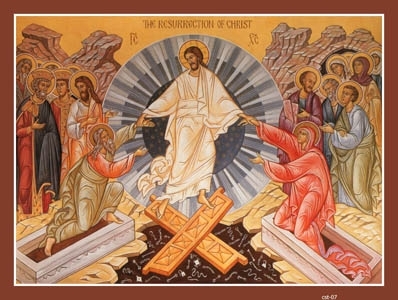 RESURRECTION MATINS – 8:00 AM; DIVINE LITURGY – 8:45 AM; FOLLOWED BY BLESSING OF PASCHA BASKETS & FESTIVE BRUNCH – 11:00 AM. NO FASTING NOR ABSTINENCE UNTIL APOSTLES FAST JUNE 17TH (APOSTLES’ FAST FROM 6/17 – 6/28). 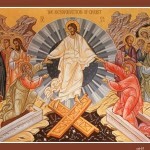 “Christ is risen from the dead!